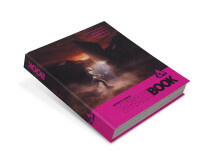 The official Affinity Photo Workbook is now available with a 25% discount to celebrate the first edition. 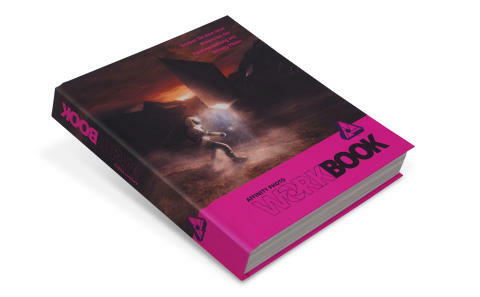 With its 488 pages in brilliant colors and bound as hardcover, the Affinity Photo Workbook is available in German and English and is the only official compendium on Affinity Photo. 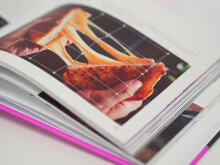 Brimming with tips, tricks and tutorials, the book is the perfect reference for working with Affinity Photo on a Mac or Windows PC. Professional photographers and digital artists from all over the world have put together 16 projects specifically for this book on behalf of app developer Serif, so that you can read all the steps during the reading and get a practical insight into the possibilities of the various tools and functions of Affinity Photo. 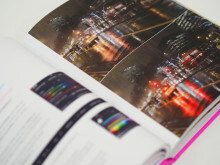 The book is divided into three main chapters: Projects for Photo Enthusiasts, Commercial Projects and Creative Effects & Techniques. At the beginning of each project, you will find a download link that will allow you to download all the resources needed for the project. This includes the artist's original image, snapshots of the project at various milestones and the finished project file. In this way, you can easily adjust the result at home and see exactly how the artist has implemented the different ideas. 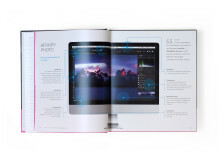 Complementing the projects, the Affinity Photo Workbook also includes 68 pages of reference material on all desktop app tools and panels, as well as a 48-page chapter on the basic and indispensable techniques professionals use to manipulate their images. With over 600 illustrations and screenshots of the app you can easily follow all steps - the perfect complement to the informative texts and of course in top quality. And as a small bonus, the book contains five detachable "cheat sheet" made of solid cardboard with the keyboard shortcuts for Mac and Windows. The book continues the tradition of the now out-of-print Affinity Designer Workbook - the official compendium of Serif's graphic design app released a year ago. In the words of Ashley Hewson, CEO of Serif: "The Affinity Photo Workbook is truly an indispensable companion to the app on Mac and Windows, demonstrating readers' vividly the approach and techniques of professionals." "This is not a simple" A to Z "manual, but a comprehensive collection of techniques and tips that will inspire your readers to create very individual works using Affinity Photo. 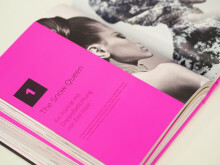 The projects and tutorials serve as examples of creative workflows and photo design. " "As the book focuses on professional techniques, the Affinity Photo Workbook is still relevant when new versions of the app appear." Photo editing for photo enthusiasts with adjustments, masks, HDR and black and white techniques. Innovative solutions to the problems of city photography day and night. 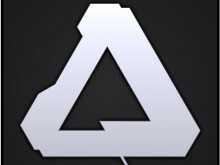 A guide on how to adjust the famous panorama of Affinity Photo itself. The use of double exposures in portrait photography. Professionelle Retusche für Model-Porträts und Food-Fotografie. Professionelle Techniken für realistische Fotomontagen. Entwerfen und Anwenden eigener Rasterpinsel für Haare. Als Bonus reduziert Serif auch den Preis für das Affinity Designer Workbook um denselben Betrag. Der Normalpreis beträgt dann später £37.99 / $49.99 / 44,99 €. Da das Affinity Photo Workbook die Nutzung der Desktop-App auf einem Mac oder Windows-PC erläutert, empfiehlt es sich nicht für die Nutzer der iPad-Version.